Handgun enthusiasts have been waiting with bated breath to learn which platform the US Army will tap to follow the Beretta M9 as it’s next official sidearm. 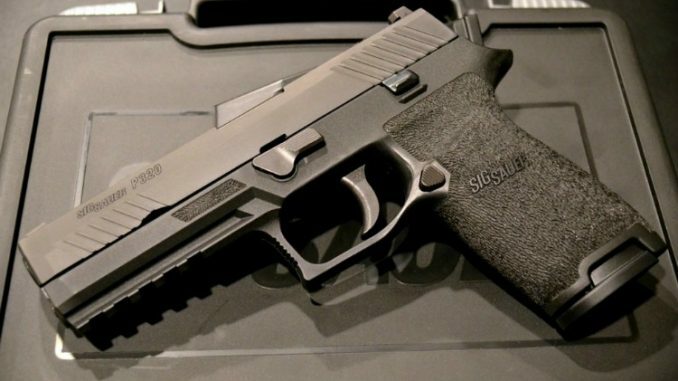 The US Military’s coveted “Modular Handgun System” contract was awarded this month to Sig Sauer, adopting the P320 9mm to follow in the footsteps of the iconic Colt 1911 and Beretta M9 as the Army’s official sidearm. The competition, which began in earnest back in 2013, sought to replace the dated M9 with a weapon that’s measurably more versatile, accurate, and durable than the Beretta. When you look at the list of contenders, it’s clear that all 6 would be an improvement, technologically at least. But as the Army drilled further and further into the laundry list of technical requirements, the Sig P320 proved to be a standout. To paint in the broadest of brush strokes, the P320 is a lesson in one-upmanship from the Swiss-German engineers to the highly regarded Austrian outfit known for revolutionizing the modern handgun: Glock. In fact, in late December of 2016, both Glock and Sig Sauer were apparently notified that they were the 2 finalists in the MHS competition. In almost every major aspect, the P320 is what you might call a Glock clone. Many handguns have made a reputation out of making improvements upon the polymer handgun platform attributed to Glock. 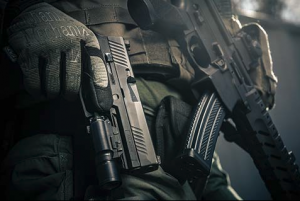 Springfield Armory’s XD series comes to mind. Ruger’s SR and Smith and Wesson’s M&P pistols as well. The P320, like 5 other finalists in the MHS competition, is a striker-fired polymer handgun, with similar controls and a similar profile. The full-sized P320 has a magazine capacity of 17 rounds, with an optional threaded barrel, high quality controls, and excellent sights. But it was by no mean alone in that. The MHS specs called for tight grouping, ambidextrous controls, a Picatinny rail, among hundred of other requirements. All of these handguns met the requirements more or less. The P320 won for a different reason.